Honey Glazed Carrots and Parsnips: Coat carrots and parsnips with olive oil, salt and pepper. Cook at 400 degrees for 30 min (stir every 10 min). Glaze with melted butter, balsamic vinegar and honey. 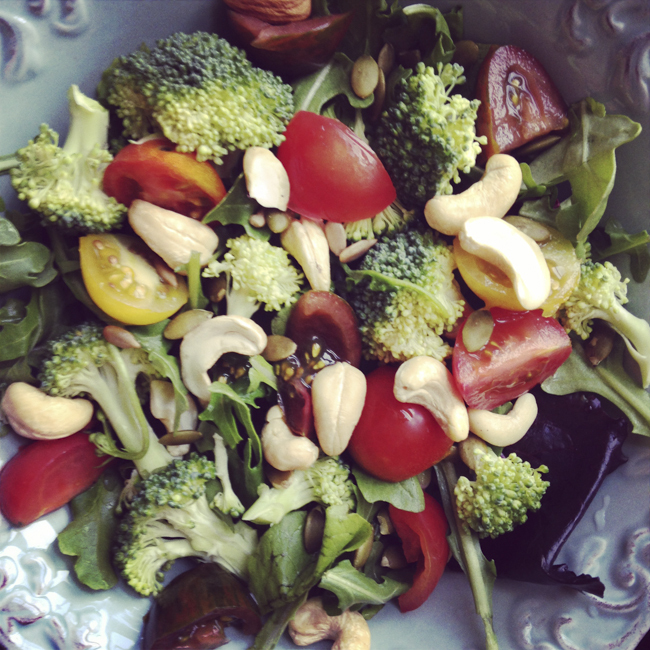 Spring Mix Salad with broccoli, tomato, cashews and sunflower seeds. 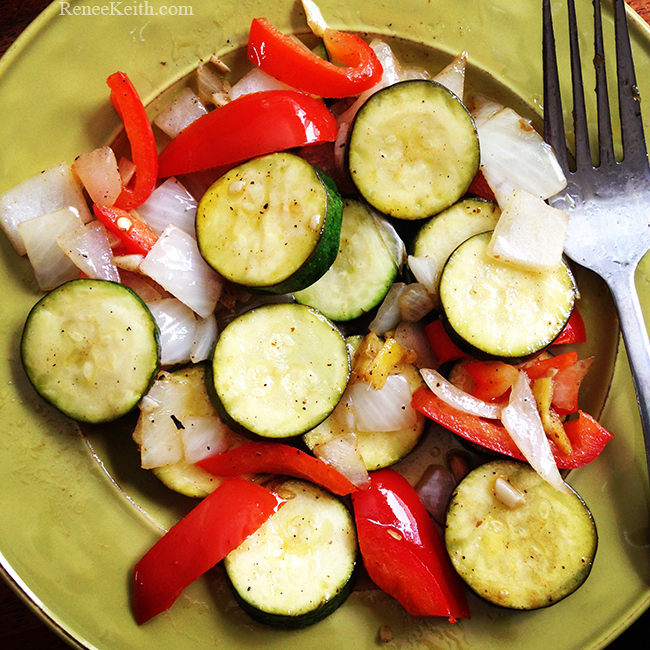 Yellow squash, green zucchini, red and green peppers, onion, garlic, chives, salt & pepper. 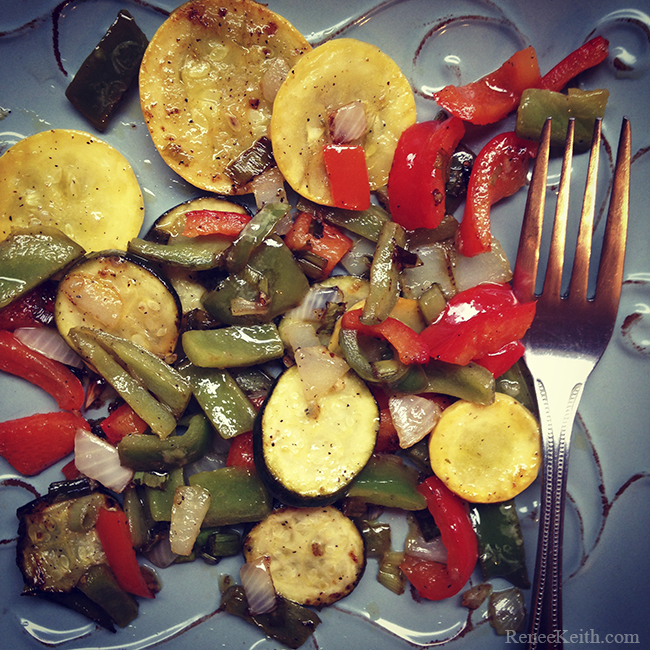 Sauteed in olive oil, red wine vinegar, and lemon juice. 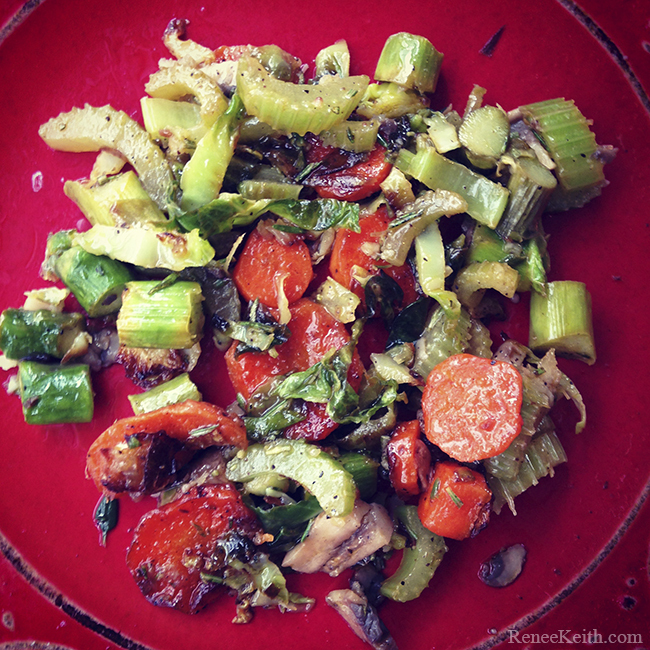 Sauteed Veggies: Started with Carrots, and brussels sprouts, waited a few minutes and then added celery, mushrooms, and asparagus. Last 30 seconds, I added garlic and herbs. Can add hemp seeds and nuts on top with fresh squeezed lemon juice… delicious!!! 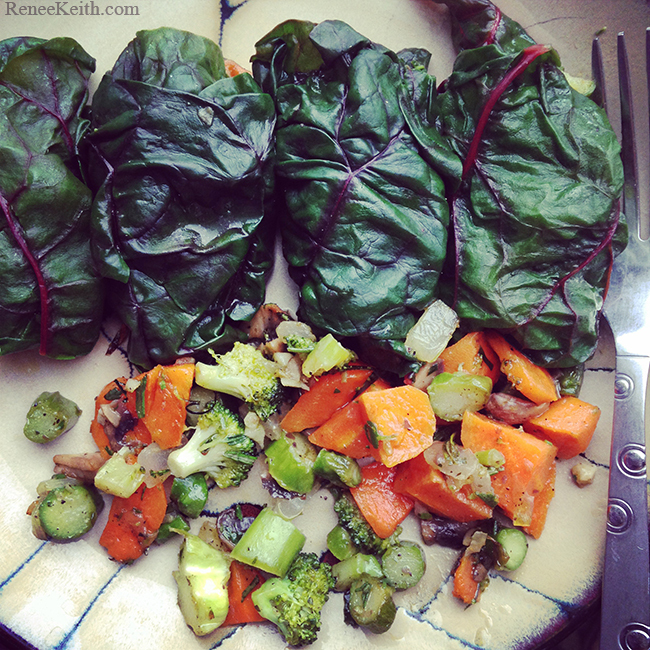 Chard Wraps: Sauteed carrots, mushrooms, broccoli, asparagus, garlic, onion, olive oil. Fresh Herbs: Rosemary & thyme. 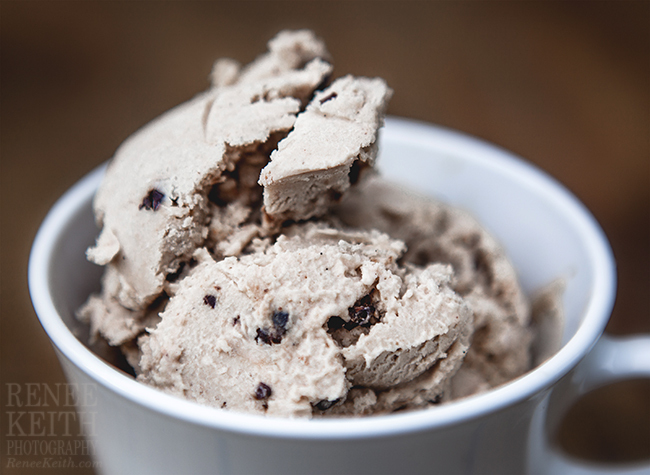 Vegan Raw Cashew Ice Cream. Mostly consists of cashews and coconut + some maple syrup and cacao powder.